Dec 11 By Jen 17 Comments This post may contain affiliate links. 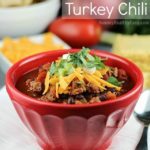 Turkey Chili full of ground turkey and beans in a delicious tomato broth cooked right in the crock pot! Christmas is two weeks away!! Have you finished your shopping yet? I’m not even close to being done! I went with one of my friends this last Saturday and finally bought my first Christmas gifts! She was finishing her shopping and I was just getting started. Thinking about how much I still have to do, makes me cringe! Having four kids is not easy in the gifting department. I have a 6 year gap between my two in the middle. It’s easy to pick out something for my two youngest because, well, they like everything! And they’re still not sure about how the whole santa thing works. My older two are a whole other story. They want all these expensive toys and gadgets. My oldest wants an iPad and my second wants a laptop. What?! At their ages, I wanted a Light Bright! (Do you remember those? They were so awesome!) Anyway, I commend those of you who are finished shopping and can relax for the next two weeks. I will be running around like a crazy person trying to get my stuff done. One thing that really makes this crazy time of year a bit less stressful, are easy dinners. I heart my crock pot and I heart chili. It’s so comforting and flavorful. There’s something better about it being slow cooked too. 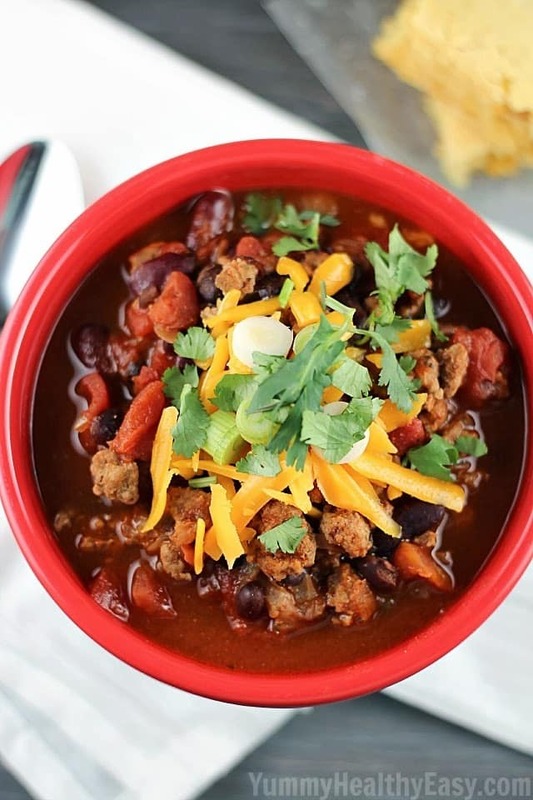 This turkey chili is so flavorful and healthy. It’s probably one of my husband’s favorite meals. It’s so simple to throw together in the crock pot. I make it again and again. Do you have a favorite holiday dinner? In a large skillet, cook onion until almost translucent. Add ground turkey and cook until no longer pink. Pour into slow cooker. 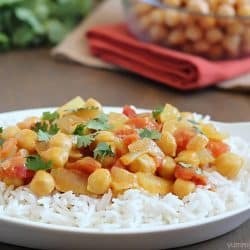 Add remaining ingredients into slow cooker and stir to combine. Cook on LOW for 8 hours or HIGH 4 hours. 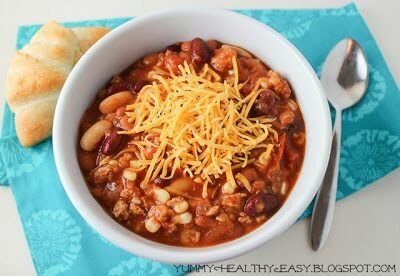 I love chili and this looks great! 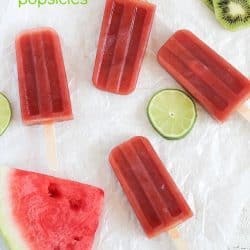 Pinning–and hopefully making it this weekend! I’m a slow cooker fanatic! 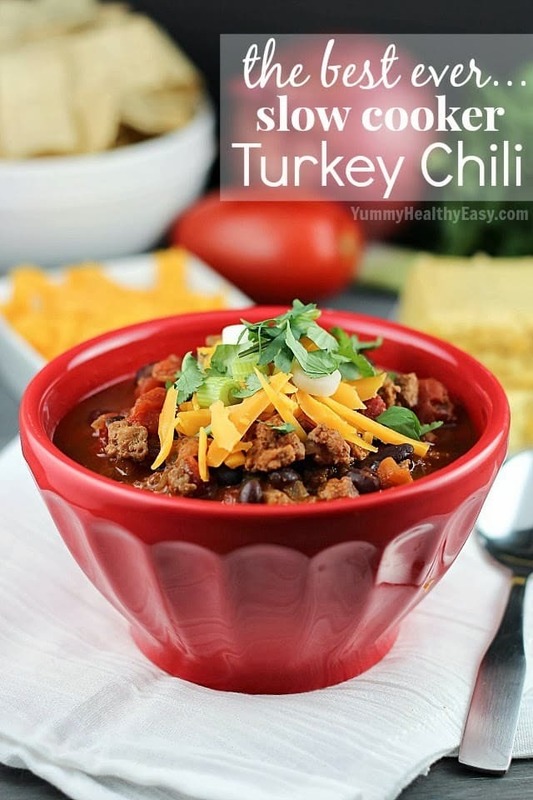 I’ve never made a turkey chili…this looks like it might have to be my first! 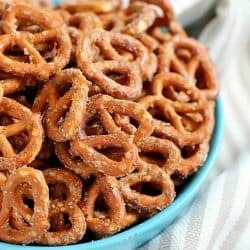 I am DEFINITELY making this for our next football game! Yummmmm, Jen! 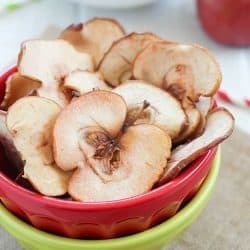 That looks fantastic and I love that it is a slow cooker recipe! 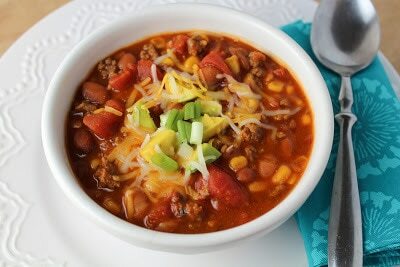 Mmmm, I do love a good turkey chili and this one looks scrumptious! Just curious the 2 cans of diced tomatoes is that the 10oz rotel type or regular 14.5oz diced tomatoes with chilies? 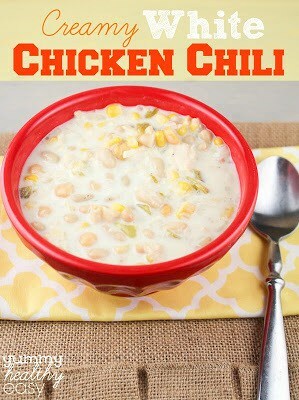 I plan on making this tomorrow for dinner! Oh, good question! I usually use the regular 14.5 oz diced tomatoes with chilies but I’m thinking you could probably use either kind! 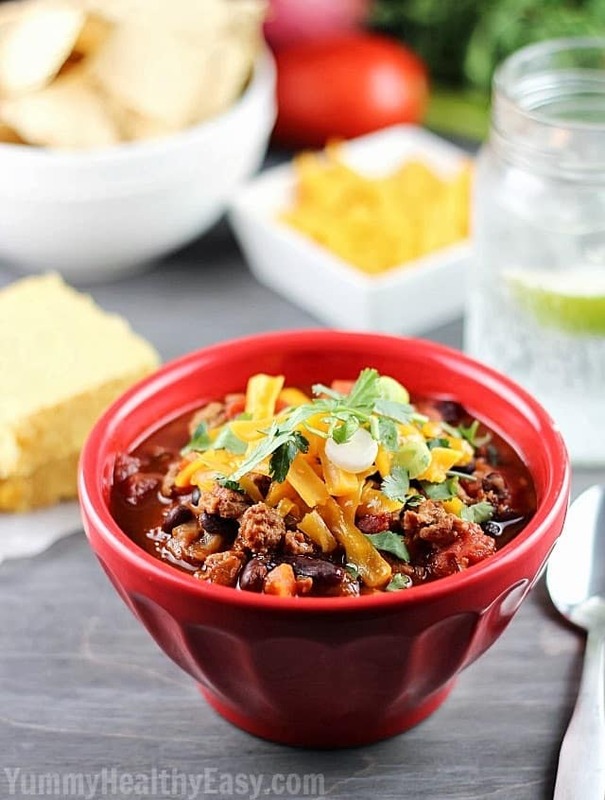 Can you cook this Best Ever Turkey Chili on the stovetop? 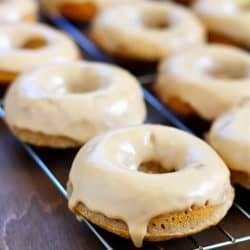 Would there be ingredient or measurement changes? I’ve never cooked it on the stovetop but I’m sure it would be delicious! I would say don’t change anything on the recipe and just cover on the stovetop and simmer for as long as desired, stirring once in awhile. The longer it slowly cooks, the yummier it is. I hope that helps! I made it tonight w/few additions.! One small white beans & small can of diced Chile peppers. I added two cans of broth one vegetable and one chicken. !I added more of the spices adding to taste. I serverd this with sour cream, Mexican Cheese & Tostadas.! Sounds amazing!! Thank you for giving it a try and leaving a comment! So glad you liked it!